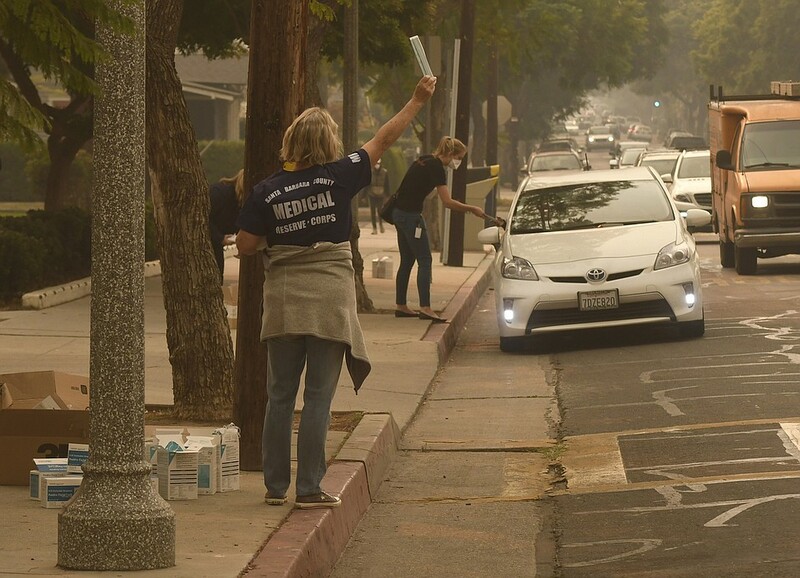 Photo: Paul Wellman File The horrible air quality in Santa Barbara during the Thomas Fire required face masks, which were widely distributed, and hotel visitation dropped. The hotel bed tax has recovered December 2017's losses so far in the current fiscal year. The Thomas Fire left a huge dent in the City of Santa Barbara hotel bed tax. The city lost nearly 30 percent in December 2017 compared to the previous year, but according to new information released on Friday, the city is on a course to recover from the losses to the smoke and ash that smothered the city. The first seven months of this year’s bed tax are up 2.6 percent, a recovery from fiscal 2018 (July 2017 to June 2018) that saw an overall loss of 1.4 percent. Hotel guests pay a 12 percent charge, 2 percent of which go to the city’s creek restoration and water quality programs. The choking air quality while the fire raged in mid-December kept tourists and evacuated residents away from town, reducing the month’s transient occupancy tax by 27 percent, to $840,000 compared to $1.15 million the year before. The more than 8,500 firefighters on Thomas at its height had the fire under control a couple weeks after its start on December 4, with all evacuations lifted by December 21. The tragic rains of January sent parts of Montecito back into evacuation status, perversely resulting in a growth in the bed tax of 22 percent over the previous year, from $1.03 million to $1.26 million. Many hotels offered discounts to evacuees and to the multitudes of out-of-town fire personnel present throughout the emergency. The past holiday season saw a rebound as expected; December 2018 bed taxes were higher than the three previous years’ — more than 40 percent higher than December 2017 — at just under $1.2 million. This January saw a dip, down 19 percent compared to 2018 and lower by $13,000 compared to 2017. Overall, hotel bed taxes so far in this fiscal year are up and total $11.7 million. The city’s estimate is $19.6 million for the year.